Our work is what makes our team rockstars. Experience our select compositions below. 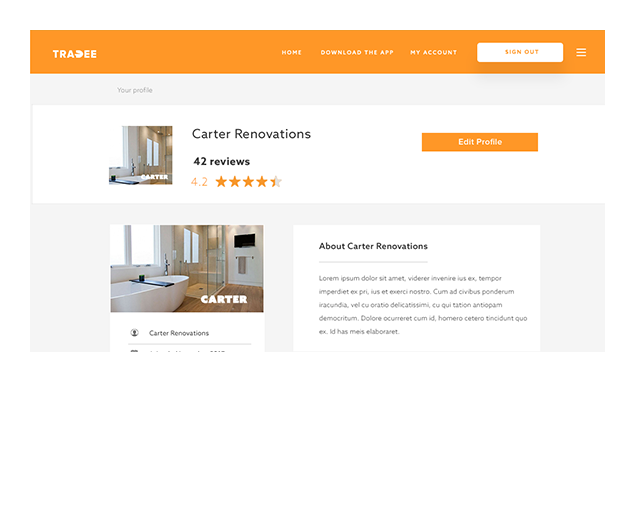 Tradee is a mobile and web application which lets its users find and hire tradees for various types of services and also helps the tradees to find suitable jobs for them. The website mainly focuses on the New Zealand area which is later planned to be endorsed in more regions. Agrodei is a mobile application built for both iOS and Android platforms with the objective of connecting the Agriculture industry so that all the farming needs can be managed and approached online. TNC Stories offers users to create their own story and share it with the world through a mobile application. May it be describing any event, imagination or recalling any past memories and briefing it, the application provides the feature to let the writer add story characters, scenes etc and arrange the conversation in order the story took place. WotNow is basically a mobile application that keeps track of all the events happening nearby may it be related to work, sports, entertainment etc. Right now it’s covering all the nearby Chicago areas and planning to cover many more parts of the United States in coming months. It allows users to follow any organization, event or any individual to stay updated with everything happening which they would love. 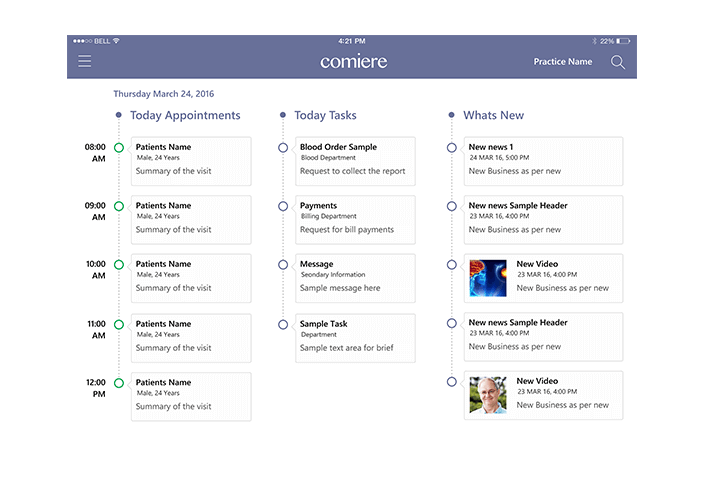 Comiere is a web application that helps patients and providers interact with each other for medical consultations. An appointment can be booked by both old and new patients in case of emergencies or for a regular checkup. The application manages the timings of appointments. Don Arturo is a restaurant for which a mobile application is created specifically for the Sancho BBDO employees to order food through the app anytime they want. The order can be delivered to their place or can be picked up from the restaurant itself. 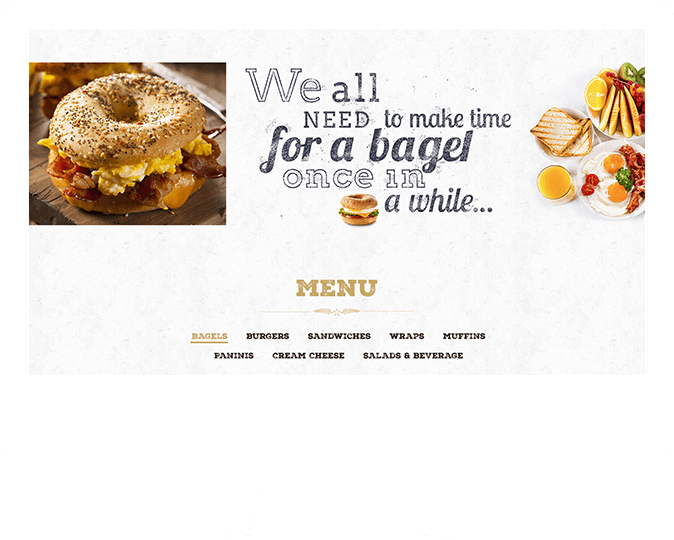 Labagel is a restaurant in the USA with its 4 branches available in New Jersey. We have brought this restaurant online, where customers can avail the feature of ordering their favorite dishes at home or workplace through their mobile phone or their laptop. Thunder Education is a school management system which lets any school to register with it and under the supervision of district administration, perform all the school administration which include management of staff, students, parents etc. ShortKeys by its name implies, is a way for Android users to grab most of the things readily available to them on their Keyboard. Shortkeys helps them create their own shortcuts and save addresses, and let them customize their frequently used sentences or words to be used anytime needed again. Runaway is a mobile application build for both Android and iOS platforms that let people create a trip to any place they want and allow other new faces to travel along with him. It also allows people to get into someone else’s trips to enjoy a whole lot of new experiences. 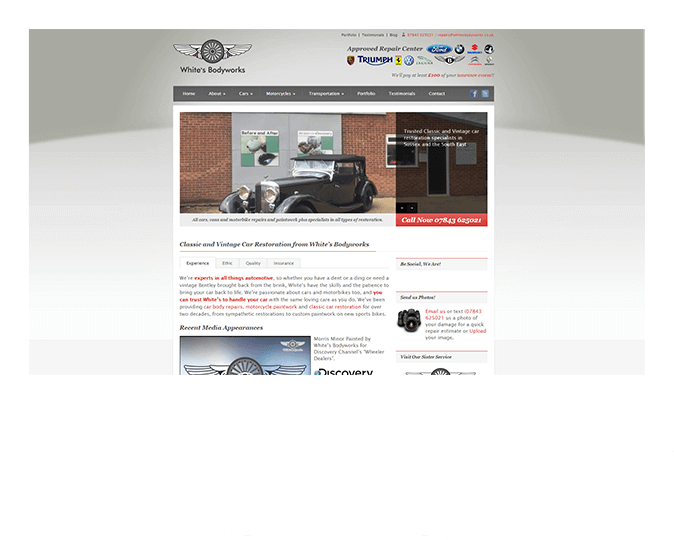 Whites Body Works is a web application of a garage that delivers their customers the painting and denting services of their vehicles to bring their vehicles back to life. It helps in the modification of any vehicle to customize it according to the customer’s desires.Whites Body Works modify all types of cars and motorcycles may it be giving customer’s cheap car a nice new look, design and power or bringing back their vintage car from the blink, WhitesBodyWorks does it all. HalaCall is a mobile application created for both the Android and iOS users which allow people to communicate with each other. It lets people have a video call with others and also chat with anyone personally or in a group. Play3Arabi is a game maker company that is publishing its games in the Middle East and North African region. The company has released some of its games on both the play store and the app store like Alpine Adventure, Kingdom Online, Star of Knowledge and Arab Release in the market so far. For exploring and providing more information about the games to the users, a web application is created that has all the information about the games created so far with details so every new user can find out all the aspects of the game before they start playing. 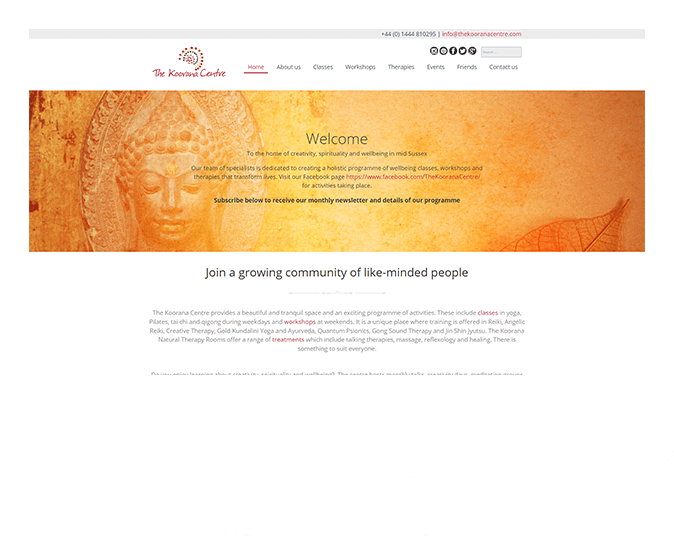 The Koorana Centre is a web application built on the name of its center in West Sussex that initiate various programs of activities. The activities contain classes in different niches of exercises like Yoga, Tai Chi, Qigong etc on weekdays. Various types of therapies are also available for holistic treatments of several diseases. The program consist of WorkShop on every weekend where advance booking is made to attend it. Several events are created and are also shared on social media regarding stress management, health, positive behaviors and many more. We have plenty more in our closet, and would love to share more with you, should you need to see anything in particular. We dig technology, so if you’re looking for anything to be built for the web or mobile, we’re pretty sure we’ll be able to ace it.